Next thing you know they will be emulating the Last Poets, the progenitors of Gil Scott Heron. The revolution will not have very fine people on both sides. The revolution will not be delivered by Amazon Smile 24 hours later; and, it will not be a part of your monthly cyclic preorder. The revolution will not be fought on a flat earth; by neonazis with flat tops; while the flat tax is lower on people who own most of America; who came to Washington not to drain the swamp but to infest it. The revolution will not be broadcast on social media; or underwritten by Sackler family opiate money — because why shake your head when it’s easier to just nod. 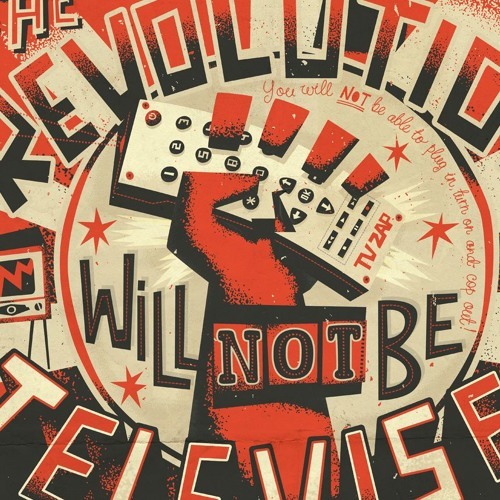 The revolution will not be broadcast on social media. This Is Us, Veep, and Game of Thrones will no longer be so goddamn relevant when the Walking Dead fill the streets covered with mutated childhood diseases Jonas Salk can’t even begin to cure. The revolution might not even happen at all.